The Pro Co You Dirty RAT Distortion Pedal produces a classic distortion sound that is reminiscent of 60s garage rock and rock 'n' roll. 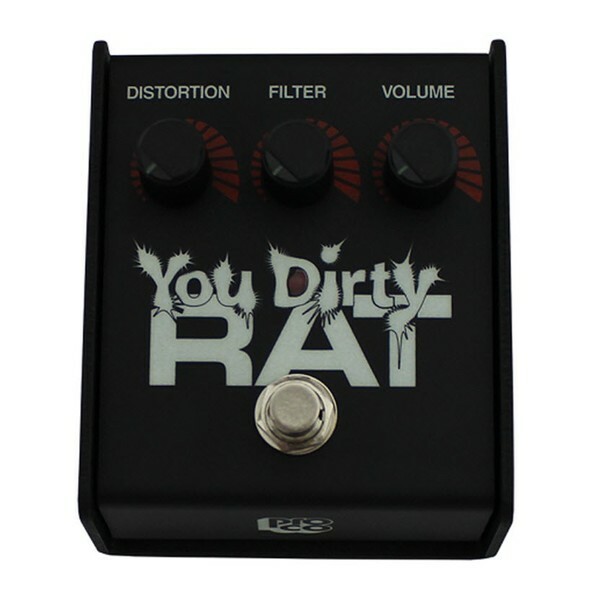 The You Dirty RAT combines a warm fuzz effect with the sharp RAT tone, to create an overall distorted and aggressive sound. The Pro Co You Dirty RAT is loaded with 3dB more compression than the original RAT pedal, for enhanced warmth and longer sustain. The Pro Co You Dirty RAT allows players to create their own distorted fuzz effect, with the help of 3 simple to use controls. The controls include Filter, Distortion and Volume, and together they offer versatile tonal shaping with ease. 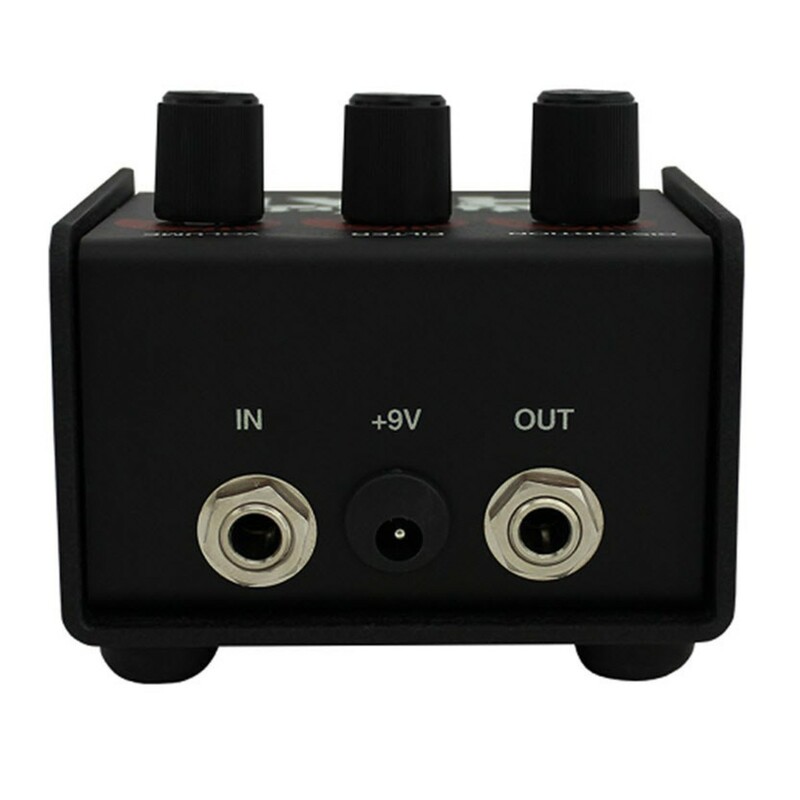 The Pro Co You Dirty RAT features the classic RAT construction that is incredibly heavy duty, and is equipped with an industrial footswitch, knobs and casing; to ensure that the RAT Distortion pedal will withstand heavy stomping and the rigours of the road. Equipped with 3 simple control knobs, the You Dirty RAT Distortion provides players with the opportunity to shape their most intense sound yet. 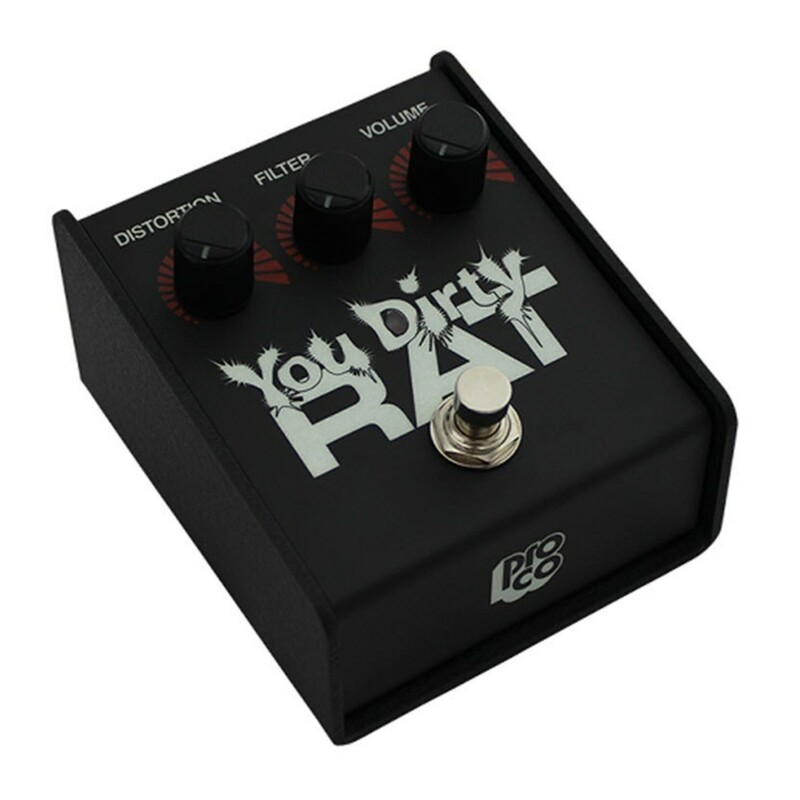 The You Dirty RAT features 3dB more compression than the original RAT pedal, and it can be sculpted using the iconic Filter control as well as the Volume and Distortion knobs. The Filter control is for adjusting the frequencies to ensure that players have enough brightness to cut through the mix. The Volume control lets players adjust the amount of projection, and the Distortion knob is for controlling the amount of gain present. 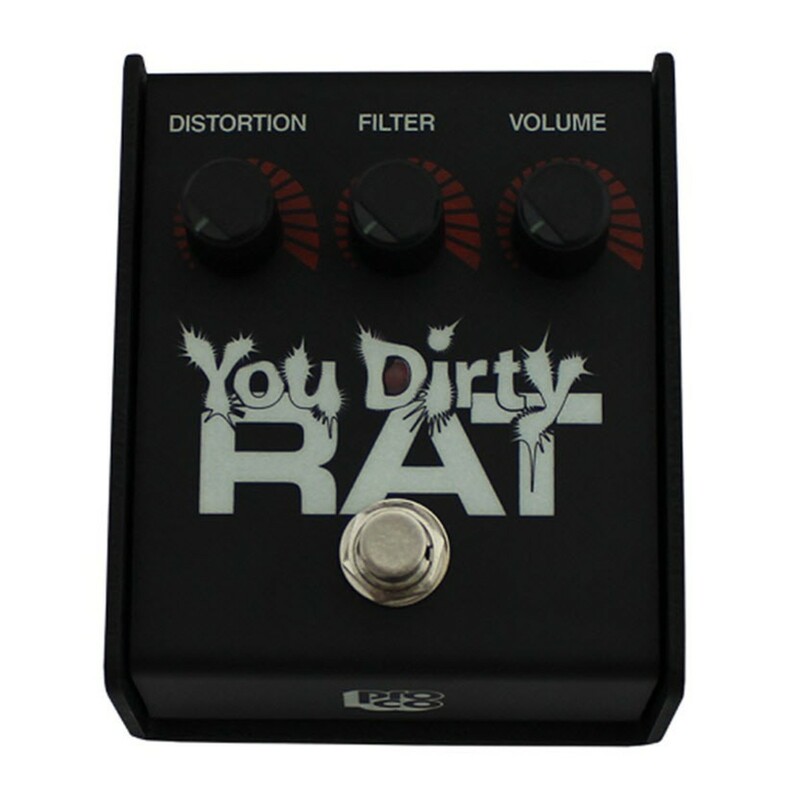 The You Dirty RAT Distortion is hand built in the USA, and it is constructed with an incredibly heavy duty steel casing, with industrial knobs, footswitch and jacks. The strong and sturdy build, provides players with a unit that will withstand even the most vigorous stomping and abuse whilst out on the road. 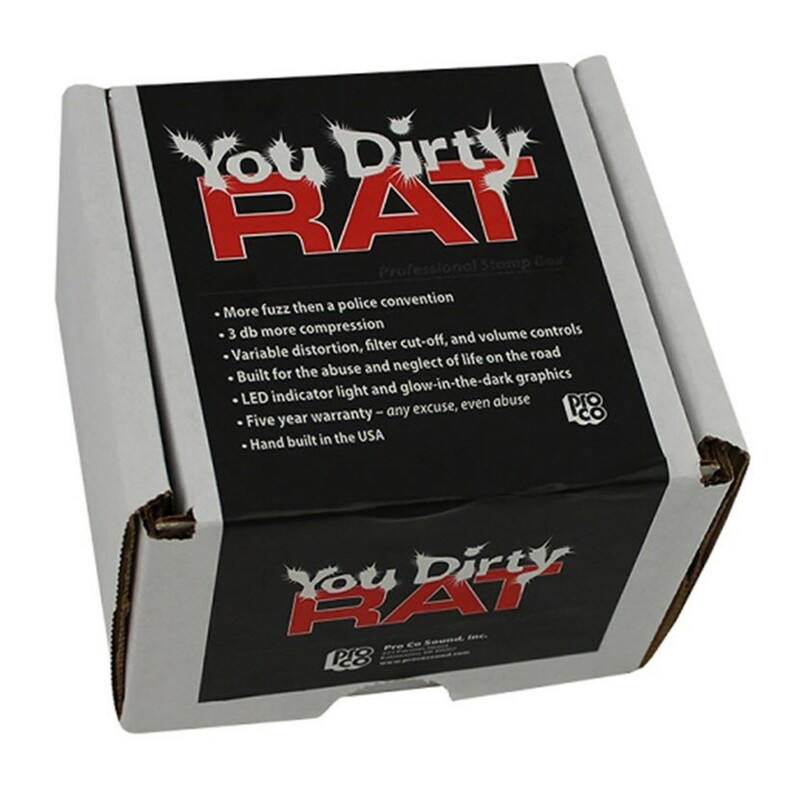 The You Dirty RAT has an appearance that is as dark and sinister as its sound, complete with a black finish, dark red and white accents as well as glow in the dark graphics.